This was my first read of either authors so I really did go into this book not knowing what to expect, but this synopsis ticked all the boxes that I love in a book so I dived in. This book is about one of my favourite subjects…second chance love, add into the mix forty somethings and I am officially hooked. I am always saying that there are not enough books that cover the forty pluses, after all, we do have a love life too! I have to say that the writing was beautiful, lyrical and mesmerising. This was one of those books that captured my attention from the very beginning and didn’t let go until the very end. Sometimes you just know that you are going to gel with a book and that was the impression I got from the very start…me and this book were going on a journey and what a journey it was. Emotional, thought provoking, soul searching, heart breaking at times, but most of all uplifting in so many different ways. Ty was a single dad having lost his wife five years prior. He was a perfect father and the relationship he had with his son was heart-warming and inspiring. These two really were the best of friends and were making the most of the hard hand they had been dealt. Ty had spent time reflecting on his past and especially the woman that he owed his current life to. One night when Ty was at the lowest of the low he met a woman in a green dress at Hope’s Diner, it was snowing, freezing and she looked like a duck out of water with the weight of the world on her shoulders. Over a cup of coffee, they talked, they off loaded, but most of all they gave each other hope. He goes to the restroom and she disappears, but she left behind a piece of her, a piece that had been firmly lodged in Ty’s heart for the past twenty years. Jess too had her issues and one being a loveless marriage to a Senator, but out of that marriage was borne a beautiful daughter that was Jess’s champion and best friend. The relationship that these too had was once again amazing, they were each other’s confidantes, they worked together and they bounced off each other, in short they kept one another going with one incredible bond. And so Ty’s son persuades him to try to find the girl in the green dress…but is it twenty years too late? Jesenia and Titan’s story was epic. I lived and breathed this story and was frantically page turning as I desperately wanted these two to reunite. They had each left a piece of their hearts with each other that night, the intense feelings and recurring dreams were forever present with both of them. Twenty years of what if’s but neither would change the journey they had both been on. 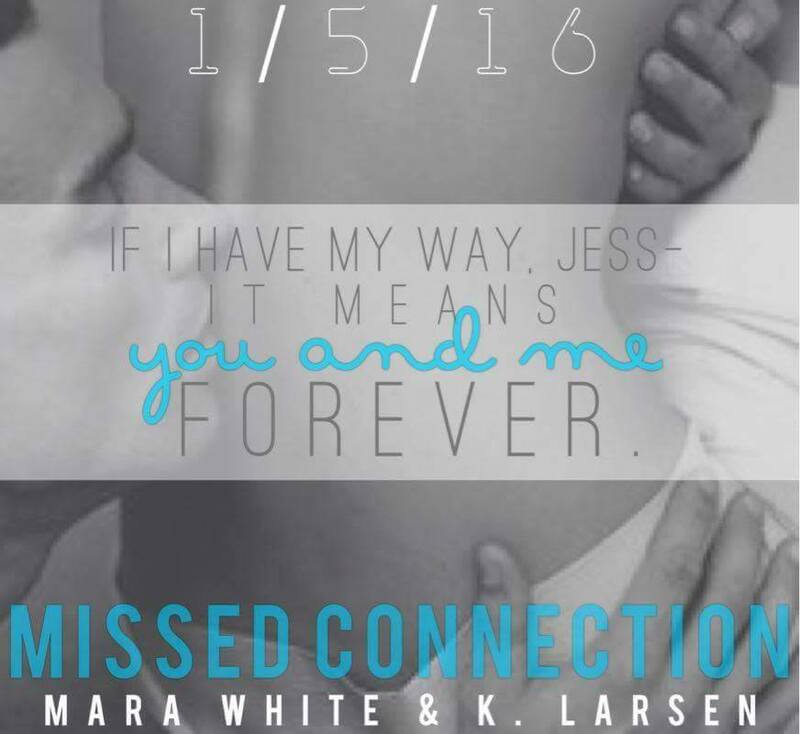 K Larsen and Mara White really captured the yearning, the exasperation, that soul mate connection with a flourish. I believed every word, I believed in their story…how just a few minutes in another’s company can truly change the path your life takes. How a chance meeting with a stranger can give you that hope, that sense of worth when you really think that you are worth nothing. 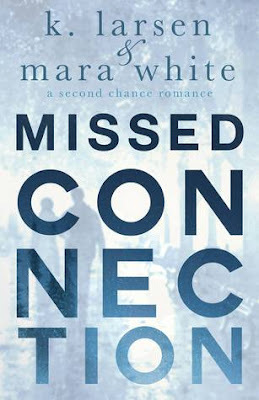 Sometimes people are meant to meet, call it fate, kismet, destiny or whatever…sometimes it is your time, sometimes it isn’t but fate has a way of making its voice heard…will this forever be a Missed Connection or were they just twenty years too soon? K. Larsen is an avid reader, coffee drinker, and chocolate eater who loves writing. She received her B.A.from Simmons College- a while ago. She currently lives and works in Maine. She writes steamy romantic suspense novels when no one's looking.